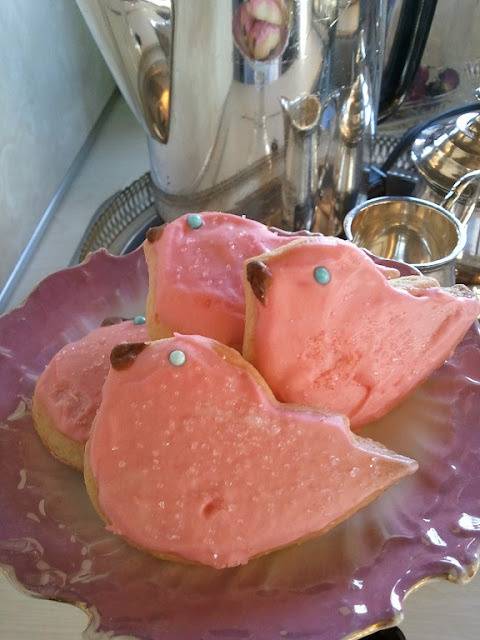 In honor of our birdie logo and the opening of our vintage trailer, shoppers who come visit will be treated to a little pink birdie cookie and a cup of delicious coffee made in our vintage percolator! We want you to feel welcome, and we hope you stay a little while so we can enjoy your company! Don't they look great?? 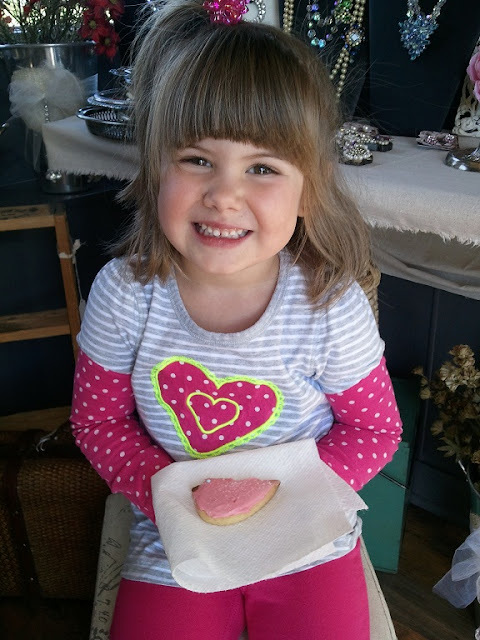 Devyn...the only thing more adorable than the cookie! Perfect little twice loved birdie cookies! A big thank-you to all our friends and family who have supported the dream of our vintage business and now the opening of our vintage trailer boutique! PS...did anyone wonder who my special guest was last Wednesday? It was my sister, Leah, who came to see the trailer, do some shopping and have some sister-time! So fun!